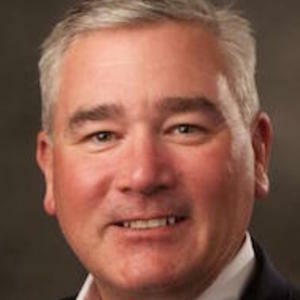 Want to Engage Dan as Your Personal Business Adviser? - Click Here to Learn More! What would you do if you worked in a bricks and mortar storefront business and your walk-in traffic dropped by 50%? Yikes, you’d probably be thinking about moving or advertising, right? Well, as a travel, tourism or hospitality pro, moving is probably not in the cards. So that leaves advertising. Now that organic social reaching is dropping quicker than you can say ‘travel’, (some estimate a 50% drop year over year) we need to power up our social ad strategy. Social ads are the ‘way of the world’ when it comes to sky-rocketing the number of people you reach online. 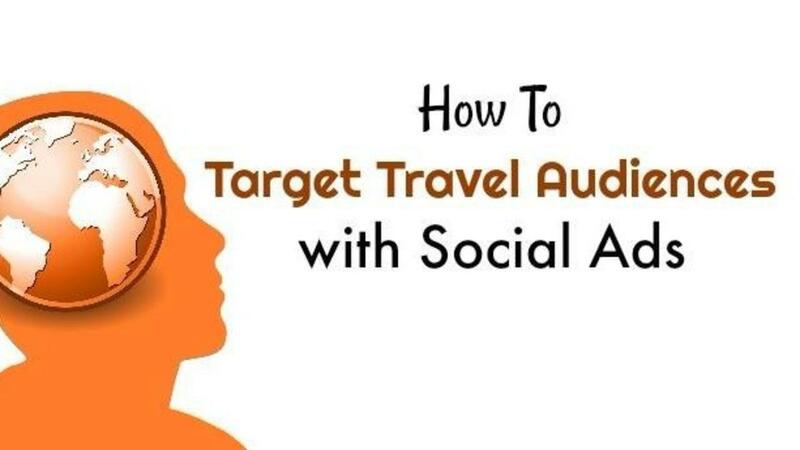 Creating custom audiences of people who want and need to travel is easy, then building ads that appeal to that audience is key to reaching the right people at the right time and on the right social site. Navigation: Power Editor<All Tools< Assets<Audiences. 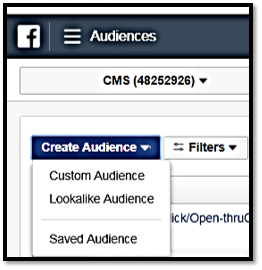 Once you begin creating your new Saved Audience you’ll see all the options listed above and even more ways to target. 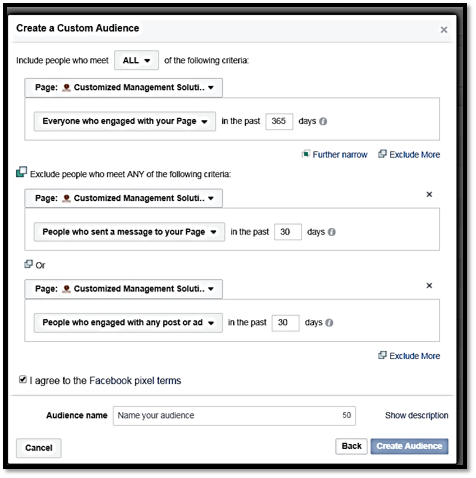 Diving deeper into Audiences on Facebook, you’ll find the opportunity to create Custom Audiences. (See the navigation above in Figure 2). These audiences enable you to reach people who already have a relationship with you either on or off of Facebook. Let’s explore each of the options for tailoring your target audiences. Customer File: Easy! Upload a .csv or .txt file list of your client base using a variety of identifiers such as email, phone, etc. Or import from MailChimp. Facebook matches your list with Facebook users. 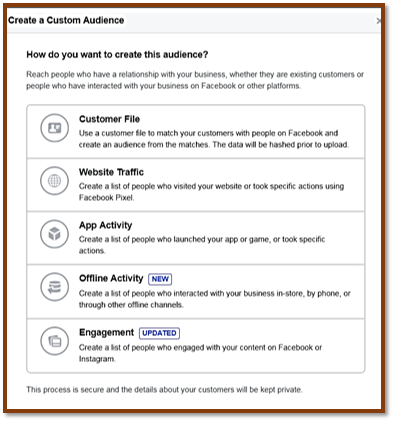 You’ll have a way to target your client lists with Facebook ads. Website Traffic: You’ll need to have the Facebook pixel installed on your website to use this option. App Activity: You’ll need to have an app to use this option. Offline Activity: You’ll need to have the Facebook pixel installed on your website to use this option. Engagement: Amazing! This option lets you develop audience lists of people who have somehow interacted with your business page. Video: If you’re already posting video, the opportunity to target people who have viewed your video over the last 180 days is a powerful tool. Imagine this: Let’s say you’ve published a video of your top selling destination. Now you can target people who have watched that video and show them an ad related to that top-selling destination. 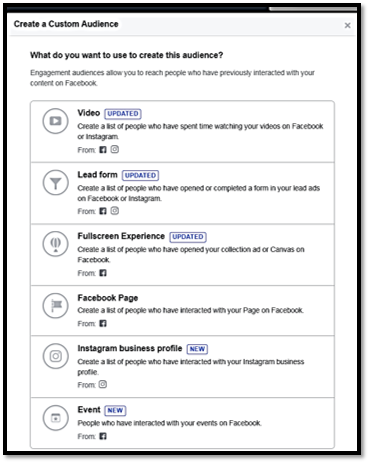 Lead form: Lead generation ads on Facebook are relatively easy to set up and can be a powerhouse in your email list growth strategy. The template provided walks thru the steps and even provides sample questions. While you can have up to 21 questions (yikes) research shows that 1-3 questions leads to the highest conversion rates. This is a chance to grow your email list and target at the same time. These downloadable lead magnets may take the form of infographics, e-books or simply a checklist. Here’s some tools to create these visual wonders. Facebook Page: Re-connecting with people who have taken any action on your page has never been easier. While these people are considered ‘warm leads’ many marketers forget to reach out to them in order to move them to the next step in the marketing funnel. Tip: You can include or exclude certain actions. Imagine this: let’s say you’ve created an ad that you’d like to reach people who have visited your page in the last 365 days, but you want to exclude those who have sent you a message in the last 30 days and/or engaged with a post or ad in the last 30 days. 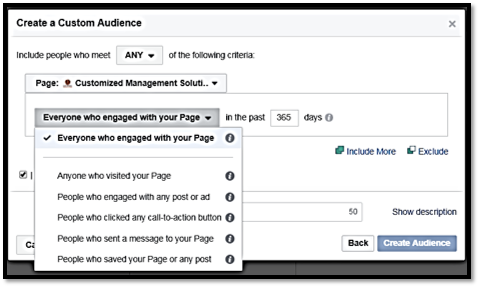 This option to exclude certain people based on their activity enables your ads to reach fresh people who may need a nudge to take some action. Figure 6 – Include and Exclude certain people based on actions on your page. Ad budget amounts are a big question for many travel & tourism pros. Here’s a helpful guide to where to place your budget allocations. 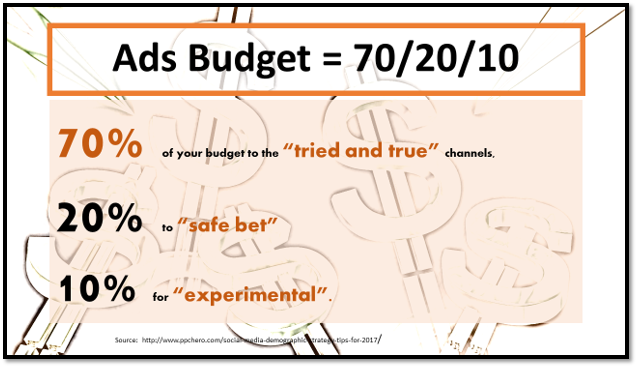 This works by allocating 70% of your budget to the “tried and true” channels. Think about where you’re finding the most success now and where the majority of your clients and ‘perfect’ clients hang out. Then consider allocating 20% to “safe bet” sources. Then 10% for “experimental” sources. This may be used to test different audiences or platforms. As you begin advertising and gathering more data, the channels may shift buckets as they may start to outperform other channels allowing for additional budget. What will your target audience look like for your next post? 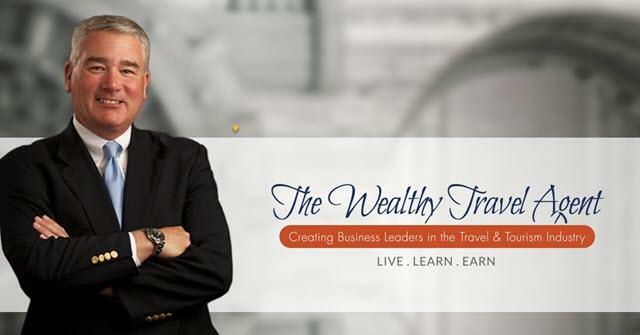 For decades she has trained and lead sales and marketing teams in our industry. She ties together experiences gained from this inside knowledge when providing social strategies. With this practical understanding she specializes in inspiring social media success in her speaking engagements with international audiences. She has appeared on the Home Based Travel Show, The Nolan and Stuart Hour as well as in-house webinars with major host agencies and consortia. 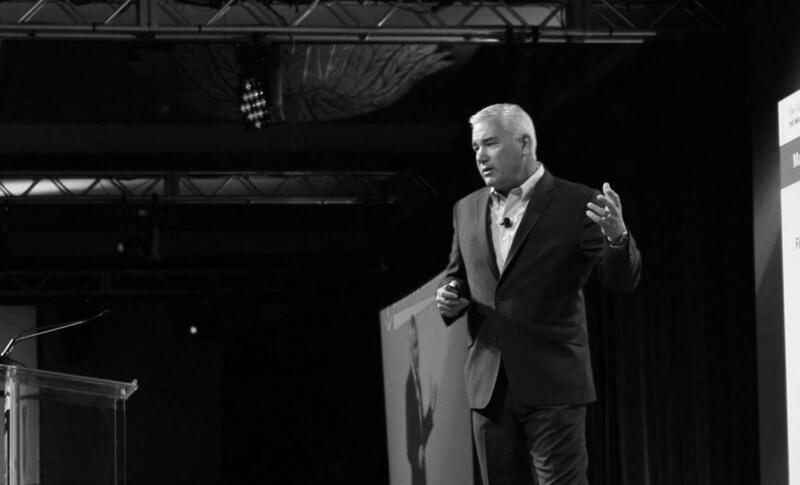 Are YOU Ready to Become a Power Player? Take Control of Your Sales!